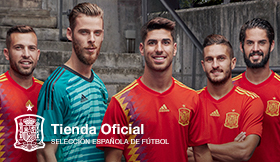 The Spanish Football Federation (RFEF) closes its friendly match fixtures calendar today, Thursday 18th February, ahead of the France 2016 EURO. The team led by Vicente del Bosque will step up its preparations for Euro 2016 with an international friendly against Italy. Both sides will square off in an international friendly on 24 March at Stadio Friuli in Udine (20 45 kick-off CET). This friendly will be held in the brand new stadium that was opened only a few weeks ago. Next month's fixture will be the first meeting between both sides since 2014. Pedro's second-half strike handed Spain a narrow victory over Italy at the Vicente Calderón stadium. Three days after this international friendly, Spain will play another warm-up game for Euro 2016 against Romania (20 45 kick-off CET). For the upcoming matches Head Coach Vicente del Bosque will unveil the call up on Friday 18 March at 12.30pm and the training camp will start on Monday 21 at 12.45pm in the Ciudad del Fútbol. During the month of May, during the preparation stage of 2016 EURO, the National Team will face Bosnia on May 29 at the ‘AFG Arena’ in Saint Gallen (Switzerland) and on June 1, Spain is to play South Korea at the ‘Red Bull Arena’ in Salzburg. Both match times are yet to be arranged. Upon returning to Spain, the National Team will play its final friendly match on June 7, both venue and rival are to be announced shortly. 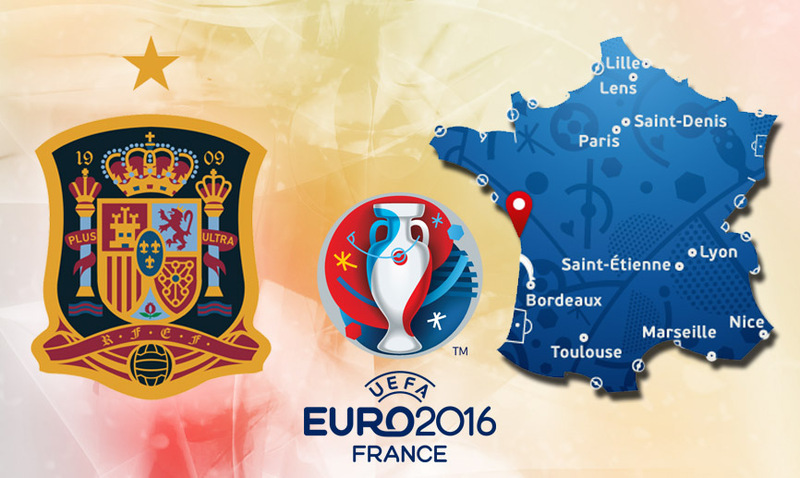 This will be the last match the team will play ahead of the 2016 EURO. On June 8 the squad will depart on route to Saint-Martín de-Ré/Sainte-Marie-de-Ré, location that will serve as the team’s base during the initial stages of the European Championship. The National Team will stay at the Hôtel Atalante Relais Thalasso & Spa in Sainte- Marie-de-Ré. The squad looks to travel to Toulouse on June 12 and will spend the night at the Pullman Toulouse Airport Hotel, ahead of the EURO 2016 match against Czech Republic at 3pm in Toulouse. For Spain’s second group stage game, the team will travel to Nice on June 16 and will stay at the AC Marriot Hotel prior to the Spain-Turkey match (June 17 at 9pm CET). Lastly, the National side will travel to Bordeaux ahead of the third and final group stage match against Croatia (June 21 at 9pm CET). The hotel designated by UEFA is Burdigala MGallery.